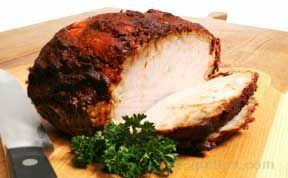 Place thawed turkey breast in slow cooker. Add onion soup mix and cranberry sauce. Cook on high for 2 hours. Then, switch to low for 5-6 hours. Baste occasionally.